It’s almost time for the 2018 Oscars, aka Hollywood’s biggest night of the year, and we can’t wait for it to start. If you’re like us, you’ll be tuning in early to see the red carpet looks just as much (or more, no judgment) as the actual Oscar winners. We’re definitely big fans of checking out the glamorous gowns and tuxes on today’s A-list celebs. Not sure how to watch the 2018 Oscars red carpet? We’ve got you covered. Thankfully, you don’t need television or cable access to watch the 2018 Oscars red carpet tonight. While the Oscars ceremony, hosted by Jimmy Kimmel, starts at 8 p.m ET/5 p.m. PT on ABC, red carpet coverage kicks off a few hours earlier. You can head online to watch ABC’s “The Oscars: All Access” programming starting at 6:30 p.m. ET/3:30 p.m. PT. Both the Academy Awards ceremony and the Oscars red carpet broadcasts will be available to stream via Facebook Watch, the Academy’s show page, ABC Television Network’s Facebook page, Oscar.com, and ABCNews.com. Want to dive in even deeper? 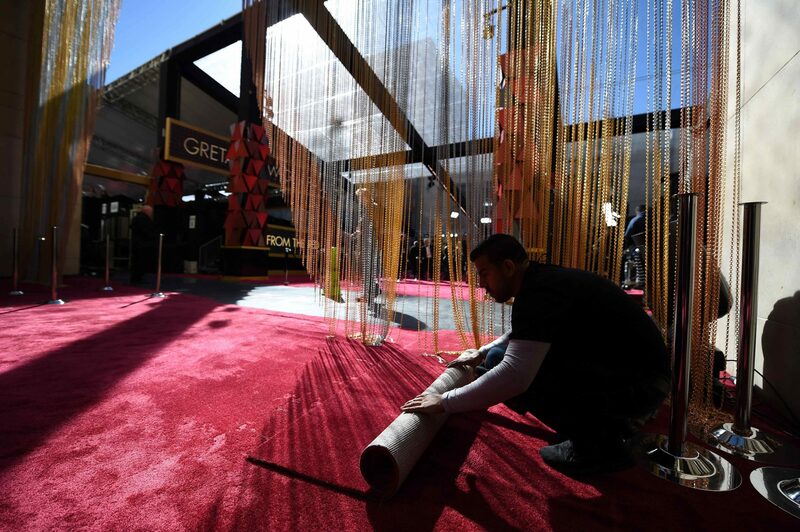 You can check out People and Entertainment Weekly’s Oscars Red Carpet Live pre-show starting at 5 p.m. ET/2 p.m. PT. That broadcast will stream live on PEOPLE.com, EW.com, InStyle.com, Time.com, Facebook Live, and YouTube Live. Upside? You can even watch the 2018 Oscars red carpet from your bed, which is definitely a win. While we can’t help but be a teensy bit heartbroken over the fact that Wonder Woman didn’t receive a *single* nomination for this year’s Oscars, we’ll still be glued to our TVs, cell phones, and laptops tonight. TBH, we started planning our Oscars-themed party menu pretty early this year, because we definitely have our priorities straight. Will you be watching the red carpet arrivals?